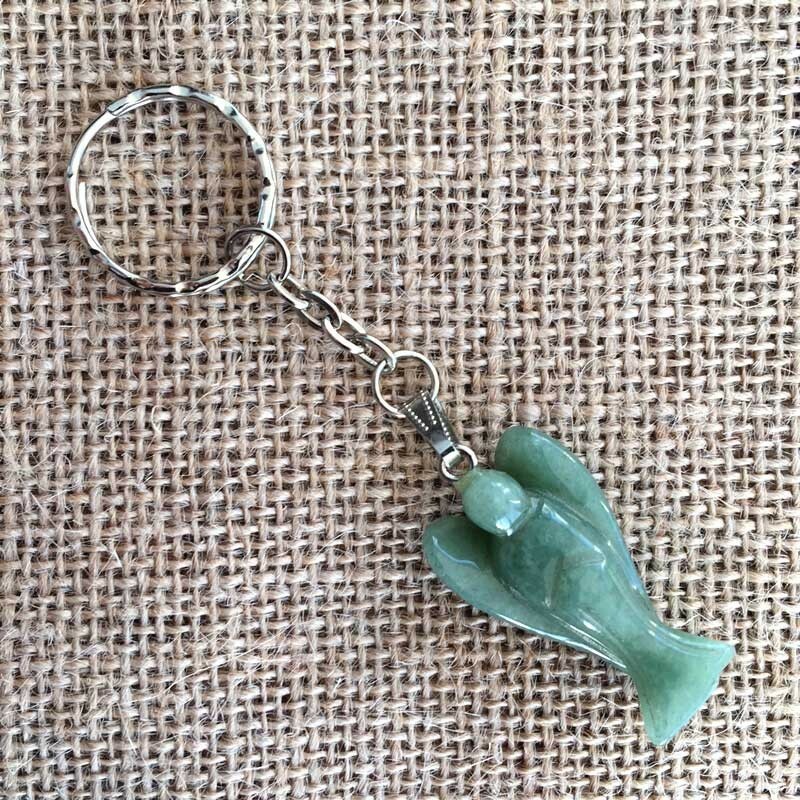 Beautiful Green Aventurine Angel keyring pendant. 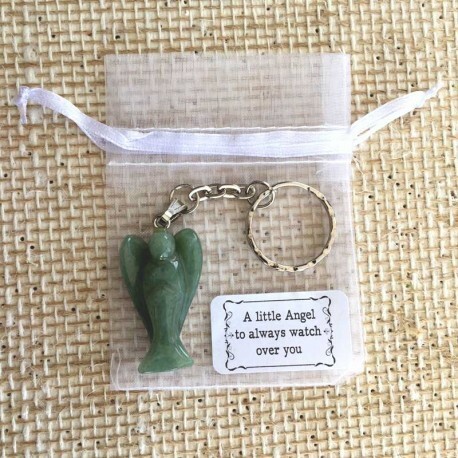 Let this little Angel protect you! 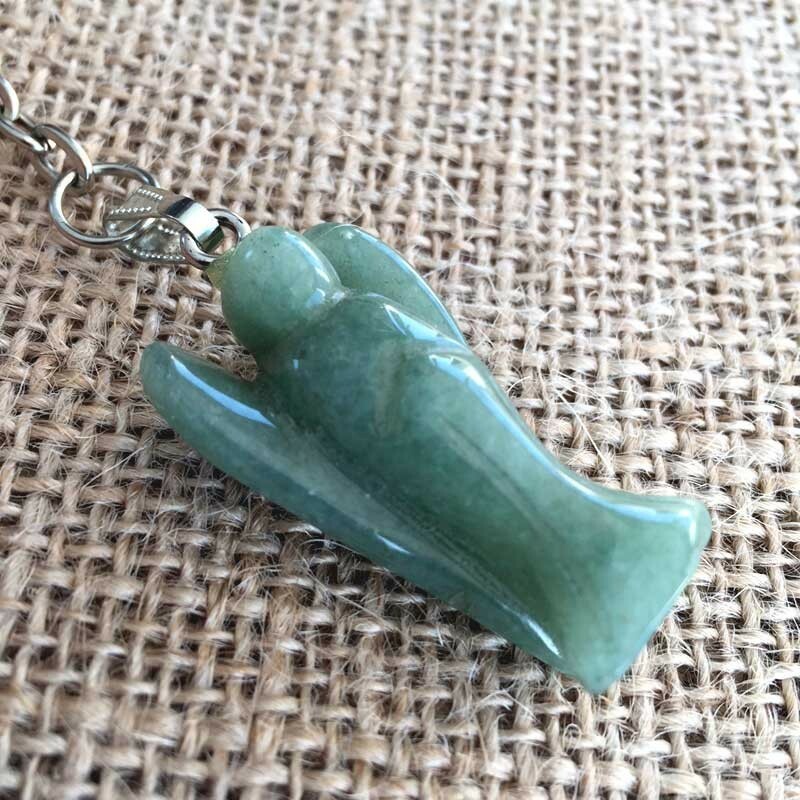 Green Aventurine assists you to better use your personal power, and using this stone may aid your self esteem as well as boosting self confidence and self worth. It is also an excellent stone to aid you to manifest an increase in money and may help you to augment your level of abundance and prosperity. 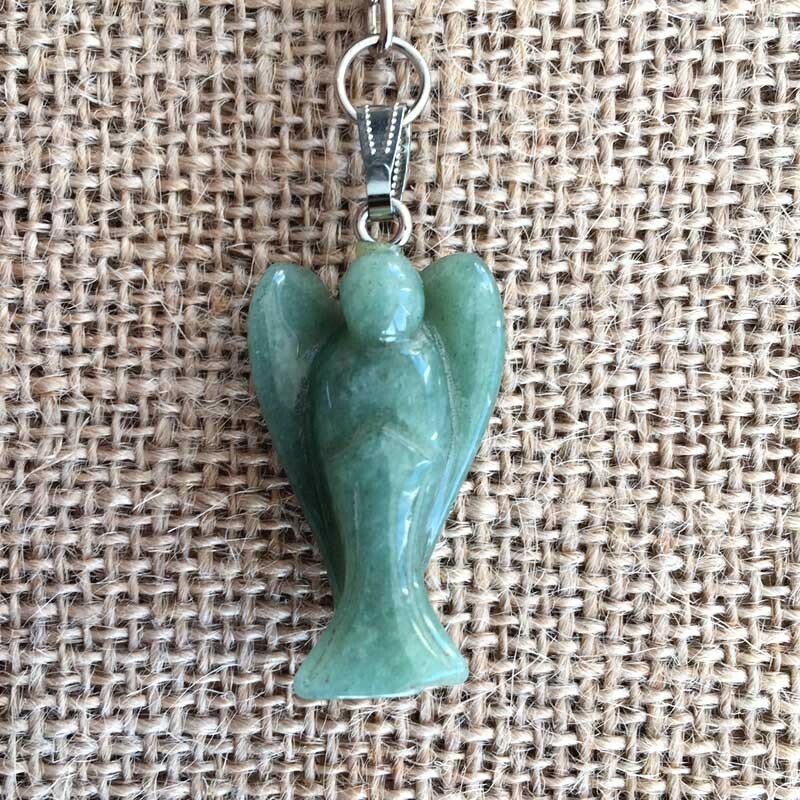 Aventurine will also assist you to enhance your creativity. Beautifully decorated guardian angel keychain with handcarved angel charm from Green Aventurine gemstone.